Katelyn’s story in last week’s Newton News touched many hearts. One of Katelyn’s dreams is being able to ride a bike but her disability means she needs it to be specially adapted and this comes at a price. 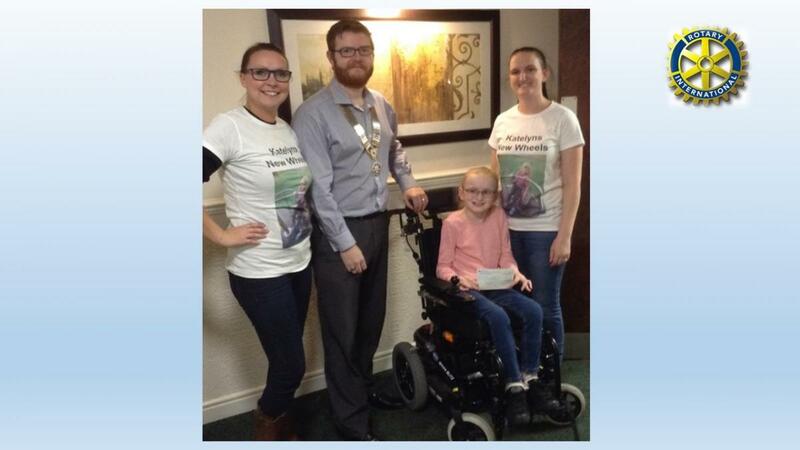 Last night the President of the Town’s Rotary Club, Jon Bean, presented a cheque for £250 to Katelyn and her Mum Kayla. Also present was Joanne Jones who along with husband Nev got the fundraising started.